Welcome to my web site. 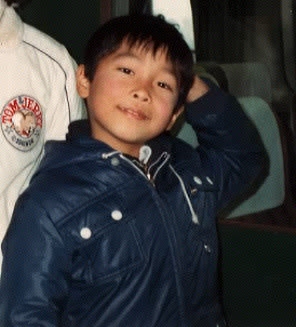 My name is Ko Maeda . I am an associate professor in the Department of Political Science at the University of North Texas. I was born and raised in a small rural village in northern Japan, which is one of the snowiest places in the country, and grew up surrounded by forests, rivers, and wildlife. I received my primany and secondary education in laid-back, rural public schools. 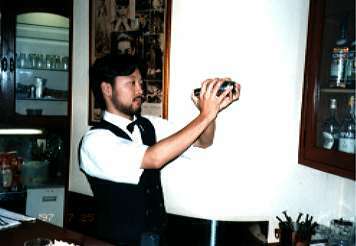 After obtaining a bachelor's degree from University of Tsukuba in 1998, I started my graduate work at Michigan State University in 1999. 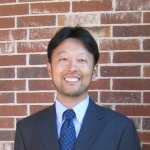 I obtained my Ph.D. degree and came to UNT in 2005. 2008. "Re-Examining the Contamination Effect of Japan's Mixed Electoral System Using the Treatment-Effects Model." Electoral Studies 27(4):723-31. 2007. "Learning in Hierarchies: An Empirical Test Using Library Catalogues." Journal of Theoretical Politics 19(4): 425-63. With Thomas H. Hammond and Kyle I. Jen. 2007. "Prime Ministerial Popularity and the Changing Electoral Fortunes of Japan's Liberal Democratic Party." Asian Survey 47(3): 415-33. With Dennis Patterson. 2018. "The JCP: A Perpetual Spoiler?" in Robert J. Pekkanen, Steven R. Reed, Ethan Scheiner, and Daniel M. Smith (eds.) Japan Decides 2017: The Japanese General Election. Palgrave Macmillan. 2009. "Has the Electoral System Reform Made Japanese Elections Party-Centered?" in Steven R. Reed, Kay Shimizu, and Kenneth Mori McElwain (eds.) Political Change in Japan: Electoral Behavior, Party Realignment, and the Koizumi Reforms. The Walter H. Shorenstein Asia-Pacific Research Center. 2006. "The General Election in Japan, September 2005." Electoral Studies 25(3): 621-27. 2004. "Amerika: 'butaniku kubari' to giin no saisen tsuikyu." In Takeshi Kohno and Masahiro Iwasaki, eds., Rieki yudo seiji: kokusai hikaku to mekanizumu. Tokyo: Ashi Shobo. Title translation: "The United States: 'Pork Distribution' and Politicians' Reelection Quest." 2018. "Why Shinzo Abe faces an uphill battle to revise Japan’s constitution." With Adam P. Liff. Monkey Cage (Washington Post). 2018. "Ikkyo tajaku no seiji wo dou miruka" (in Japanese) SYNODOS. 2018. "The Enigma of Shinzo Abe’s Long Tenure and How His Success Can Undermine His Party’s Dominant Position." In Arthur Alexander, Editor, Expert Voices on Japan: Security, Economic, Social, and Foreign Policy Recommendations. The Maureen and Mike Mansfield Foundation. 2018. "How Shinzo Abe’s Success Can Undermine His Party’s Dominance in Japanese Politics." In Policy Guidance from the U.S.-Japan Network for the Future Cohort IV. The Maureen and Mike Mansfield Foundation. [NEW!] DID% of Japan's single-member distrtics, after the 2017 redistricting (Percentage of people living in census-defined Densely Inhabited Districts): Data in CSV format . (Notes: The numbers are based on the 2015 census. I calculated the percentages only for the districts whose boundaries were changed in 2017. For the rest, please use the numbers from the 2014 election. For 23 districts, I failed to obtain the exact numbers and had to estimate them. There are denoted by the "est" variable. The 2016 Election for the Japanese House of Councillors: Results of prefectural districts (CSV format) / Codebook. District-level summary results of the Canadian general elections, 2011 and 2015: Data in CSV format. The data sources are here for 2011, accessed on 10/19/2015, and here for 2015 (preliminary results), accessed on 10/20/2015. The 2014 Election for the Japanese House of Representatives: Results of single-member districts (comma delimited text) / Codebook. The 2013 Election for the Japanese House of Councillors: Results of prefectural districts (comma delimited text) / Codebook. The 2012 Election for the Japanese House of Representatives: Results of single-member districts (comma delimited text) / Codebook. The 2010 Election for the Japanese House of Councillors: Results of prefectural districts (comma delimited text) / Codebook. The 2009 Election for the Japanese House of Representatives: Results of single-member districts (comma delimited text) / Codebook. The 2007 Election for the Japanese House of Councillors: Results of prefectural districts (comma delimited text) / Codebook. The 2005 Election for the Japanese House of Representatives: Results of single-member districts (comma delimited text) / Codebook. The 2004 Election for the Japanese House of Councillors: Results of prefectural districts (comma delimited text) / Codebook. I enjoy traveling. 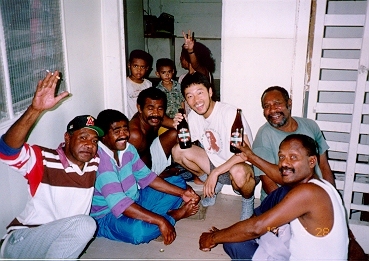 When I was 20 to 21 years old, I made a 9-month trip to Asia and South Pacific. My favorite cities in the world are Kolkata (India), Peshawar (Pakistan), Kashgar (Xinjiang, China), and New York City. I love drinking. I like beer, sake, tequila, vodka, whisky, wine, and etc. My favorite Japanese beer is Kirin. When I was in Michigan, I enjoyed Molson and Labatt a lot, but I became a big Shiner fan after I moved to Texas. I am a big eater. When I was in college, I won a pizza-eating championship in the town where I lived by eating 25 pieces of pizza in 20 minutes. I like reading. Reading is my best hobby (or perhaps next to drinking). My most favorite author is Shiba Ryotaro. My favorite books written in English include The Moon and Sixpence (Somerset Maugham), No Longer at Ease (Chinua Achebe), Lord of the Flies (William Golding), and Animal Farm (George Orwell). I got bit by a monkey in the head when I was little. I share the same birthday as John F. Kennedy. I know my name is difficult to pronounce for non-Japanese people. It is pronounced Koh Ma-eh-dah. My given name "Ko" means farming or plowing, which I guess is partly related to the fact that my hometown is in a rural area. I am a big Michigan State Sports fan. 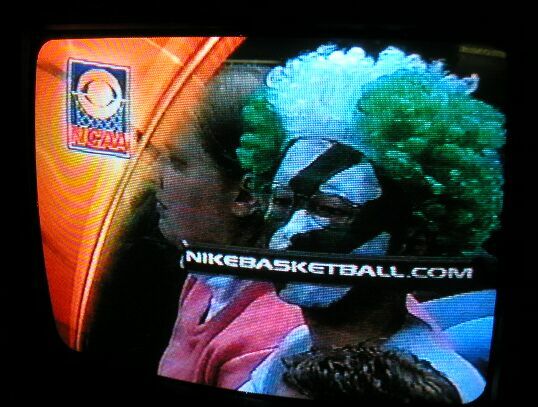 When I was at MSU, I sometimes painted my face to show my Spartan spirit, and my face was on TV several times. I used to be cute.